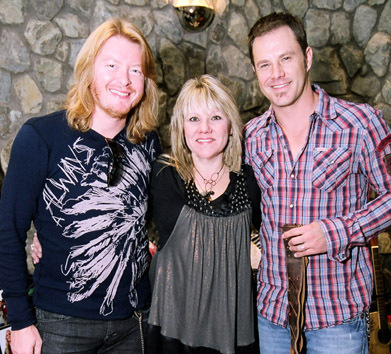 Both Philip Sweet and Jimi Westbrook wear jeri designs™ custom guitar straps. They each own several of jeri's straps and you can see them in many Little Big Town videos and in concert. Here they are with Jeri.